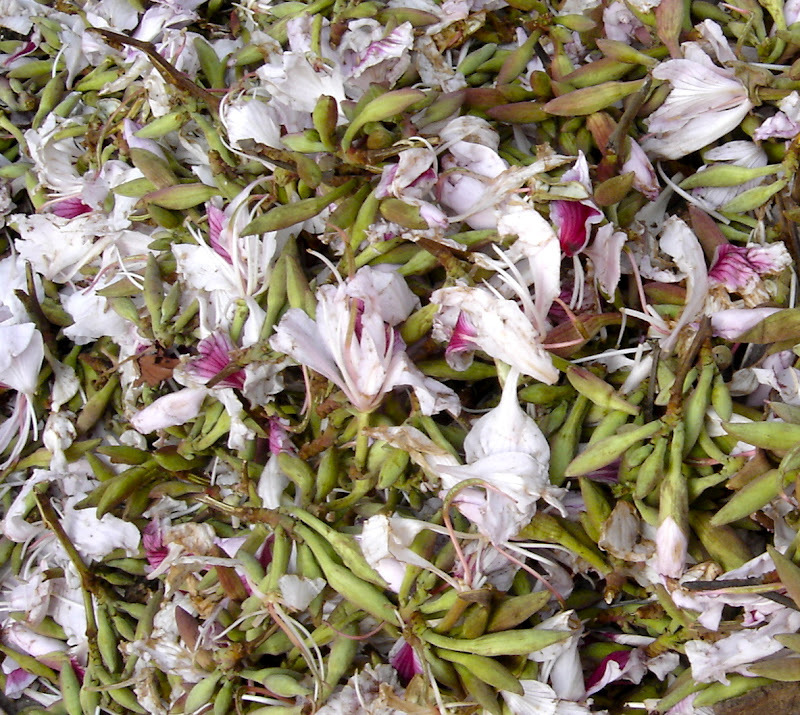 Botanical Name - Bauhinia Variegata L.
A beautiful edible flower known as "koiralo ko Phool" or Mountain Ebony (Botanical Name: Bauhinia Variegata L.) is eaten in Nepal as a vegetable. The color of the flower varies from pink-white to light mauve-purple. The tree is a medium-sized evergreen with orchard-like flowers with long buds. It is grown throughout the Himalayas in high altitude areas. The buds and flowers are cooked as a delicious vegetable or made into pickles, but they must be boiled before preparing. They are used in many Ayurvedic and herbal medicines and also for the cure of diarrhea and dysentery. 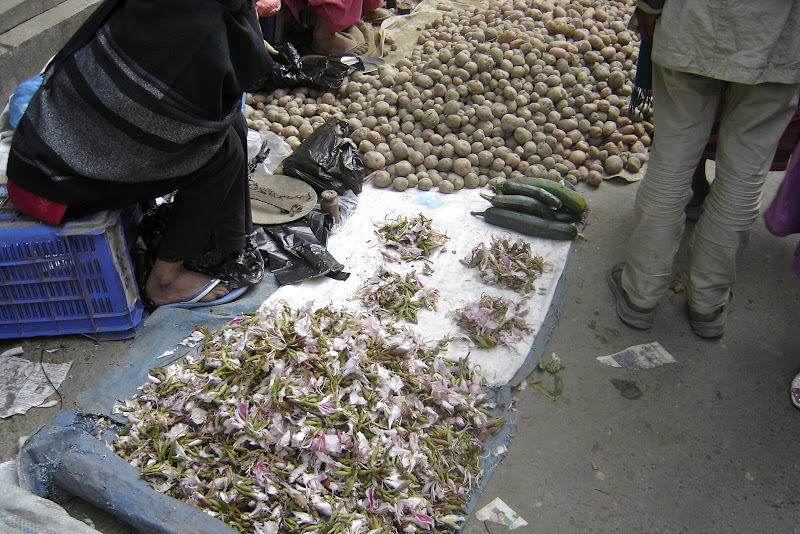 I have uploaded three pictures of koiralo ko phool taken at the Nepali vegetable market, but I do not have any picture of Koiralo-tree in bloom. Any additional information from the readers of this blog will be welcomed. Please read this interesting article in HM's Food & Wine magazine from Nepal about this edible flower. 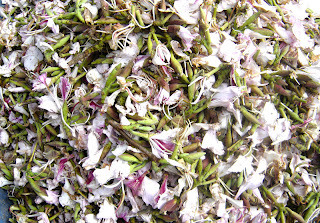 A seasonal delicacy - a light pink and purple koiralo flower is extremely delicious with an unique flavor. Koiralo ko Phool (the edible young flowers and buds) are sold in the local vegetable market during the spring season. 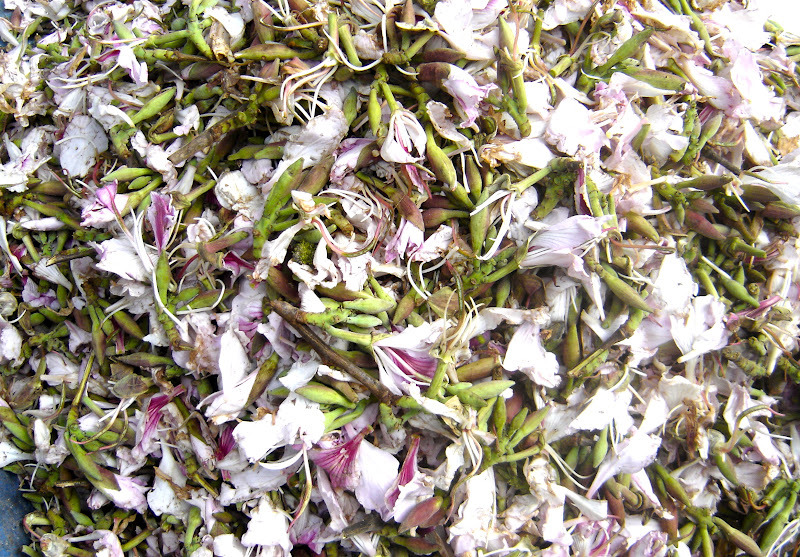 Koiralo ko phool is an extremely perishable flower and should be used within a day after it is purchased. It s a high demand edible flower during spring time. I wonder how it taste. Hi his is Rozinhero (Bharat sunuwar) from nepal .Ryte now in israel I know this plant As a herbal and vegetable In israel there is lot's of these trees but no one knows about it mostly Israeli people .We used to eat this as a pickel I have a bloom trees images so i'll send it to you. Thank you! Please send me the picture of blooming Koirala tree.